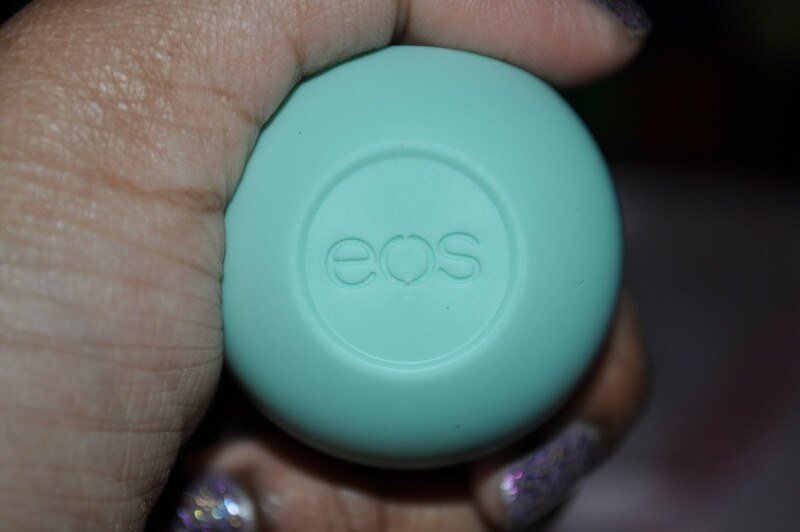 Todays post is about the EOS lip balms which I have wanted since I first saw them. You might not have noticed yet but I am a sucker for cute and unusual packaging so it was a no brainer that I had to get these balms. Unfortunately I completely forgot about them once my initial lemming passed but then a few months later one of my awesome friends bought me two. 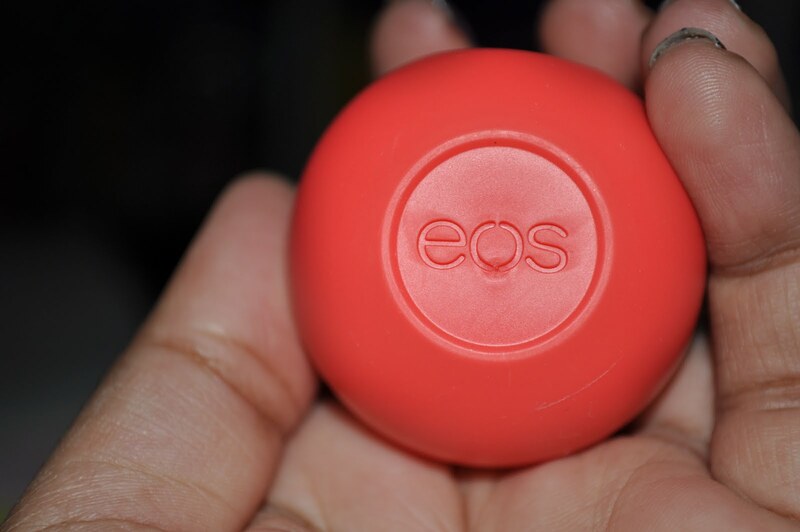 If you haven’t heard of EOS (Evolution of Smooth) they’re a company that specialises in lip and body creams and balms that are known for their innovative designs. 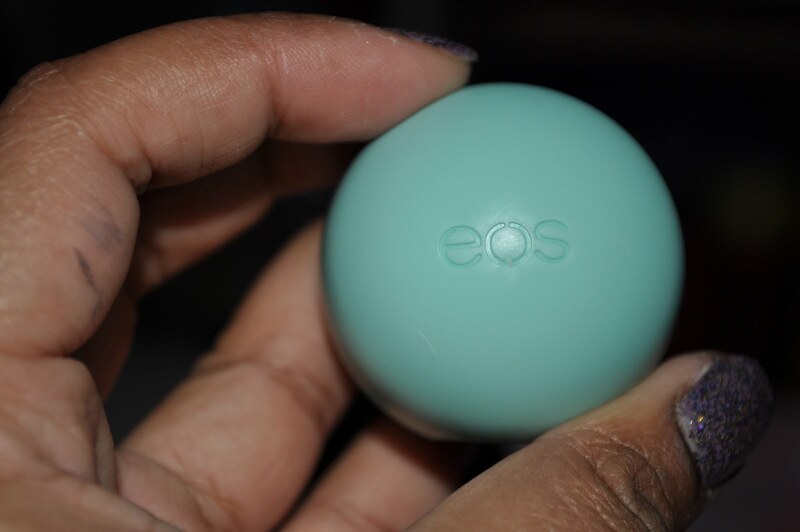 Arguably their most well known product is the Smooth Sphere lip balms that I’m reviewing today. If you look at the pictures below you’ll get an idea why they’re such a cult favourite! Look how cute and funky the packaging is! 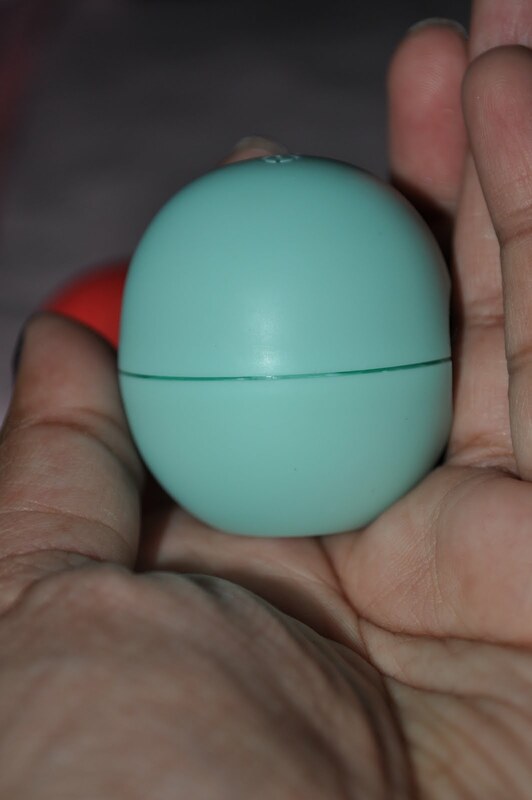 The design of the packaging is truly innovative but it’s the the way the balm itself looks that sets this product apart because it’s in a sphere! The sphere shape means no messy fingers and a very easy application. The size and the shape of the balm means that it can coat both lips at the same time so it’s truly a lazy girls lipbalm! Ok I love the fact that this is a natural product minus any petrolatum. My friend bought me the flavours Summer Fruit which is in the red packaging and Sweet Mint which is in the green packaging. You can really smell the natural and organic scents in the products as they don’t smell artificial at all. Out of both of these balms I prefer the Sweet Mint flavour as I’m partial to mint plus I sometimes find the berry scent a bit sickening. I am very sensitive to scents in lip products though so you may find it quite nice. 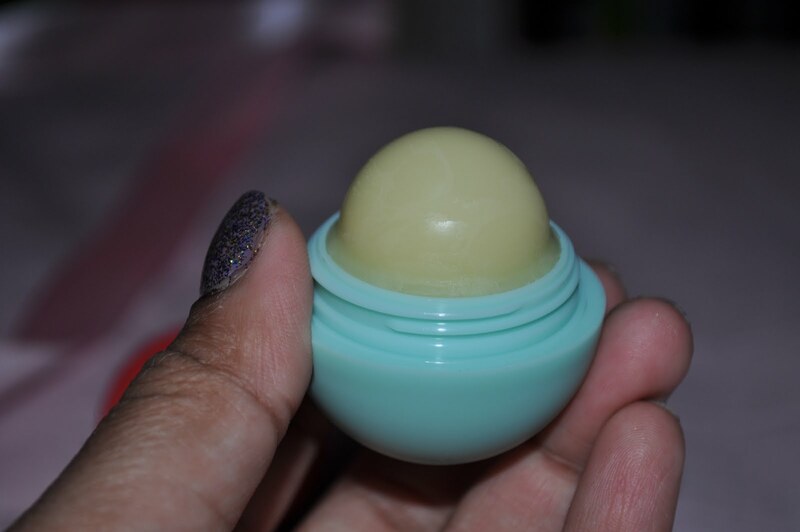 The balm itself is quite hard as it obviously needs to be in order to retain the sphere shape. 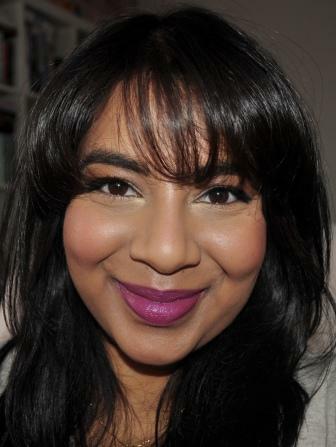 It’s not sticky or thick at all and leaves a very thin coat of moisture on the lips. 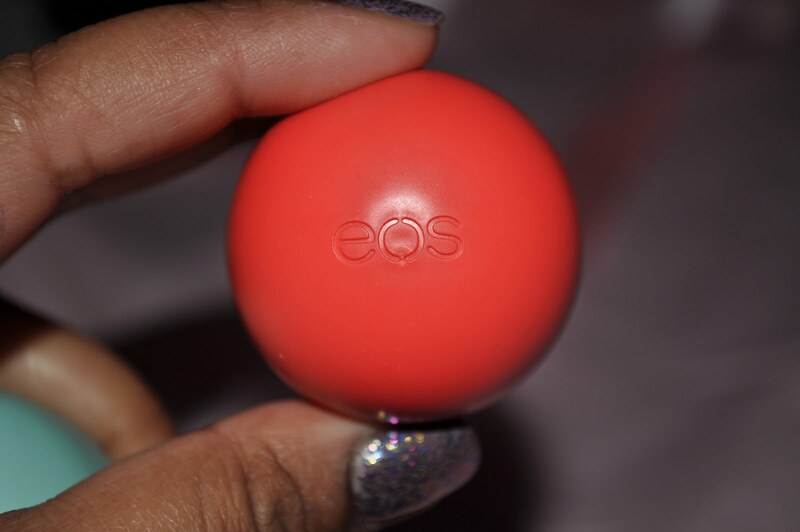 EOS says that this balm is meant to be long lasting but I can’t attest to that because I’m a serial lip product reapplier and it’s just habit for me to reapply gloss or balm every hour or so. It definitely moisturises my lips but I think that this is one of those products that would suit normal dry lips and would not be moisturising enough for very dry lips. If you have very dry lips then I would go for something in ointment form like Lanolips or Lucas’ Paw Paw ointment. 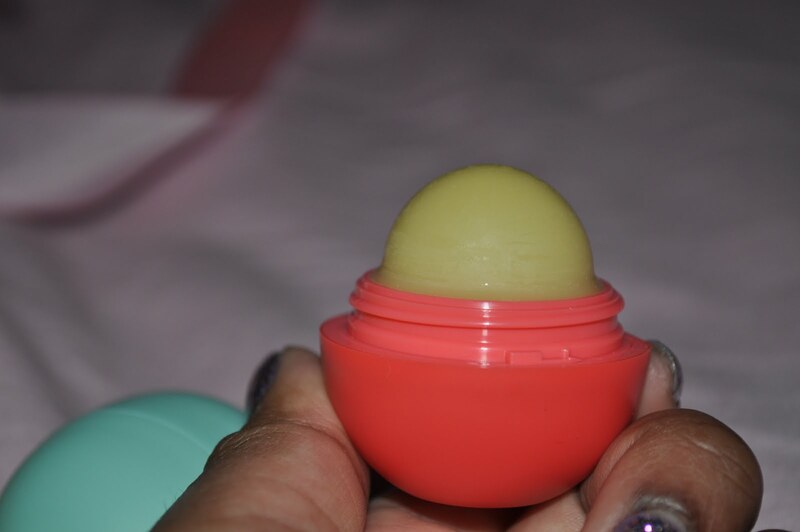 The lightweight texture of the EOS balm also makes me think that it would be a great summer balm but maybe not so great for winter. I like this balm but it’s not in any way a holy grail type item for me. It’s great for the kitsch factor and good as an everyday balm but I still prefer something slightly more emollient and just a little bit thicker in consistency which adds more of a sheen to my lips. I think this is one of those products made for people who are fans of a very naturally glossy lip. I’m glad to have tried it but I doubt I’ll repurchase this once I run out (if I ever run out! ).